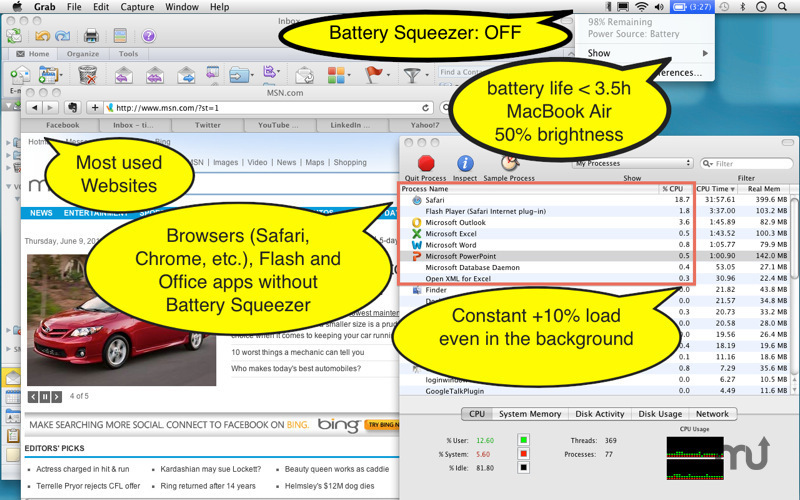 Get longer battery life on your MacBook. Is there a better alternative to BatterySqueezer? Is BatterySqueezer really the best app in System category? Will BatterySqueezer work good on macOS 10.13.4? Applications, especially Internet browsers, can put a heavy load on your system by demanding processing power even if they are running in the background. 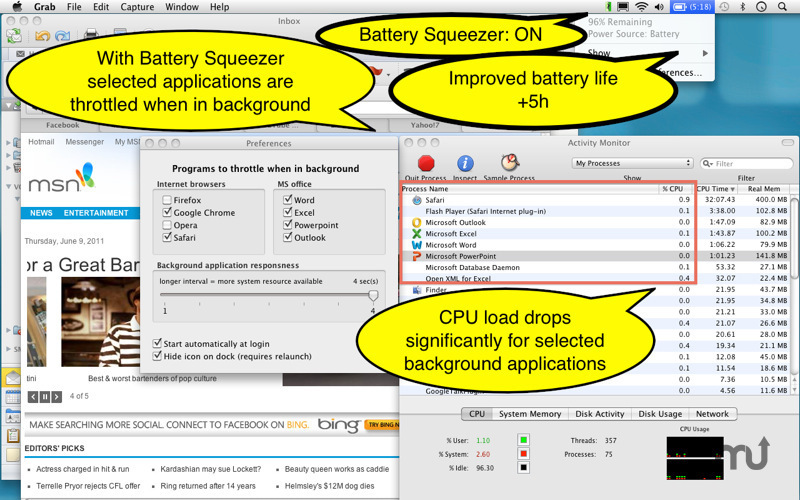 BatterySqueezer throttles Flash animations, videos, advertisements and virtually everything that run by your browser when it is in the background. Fixed bug when Auto throttling setting was reset at app start. BatterySqueezer needs a review. Be the first to review this app and get the discussion started! Until now you have had basically one option: Close down the program. BatterySqueezer is a low footprint application. 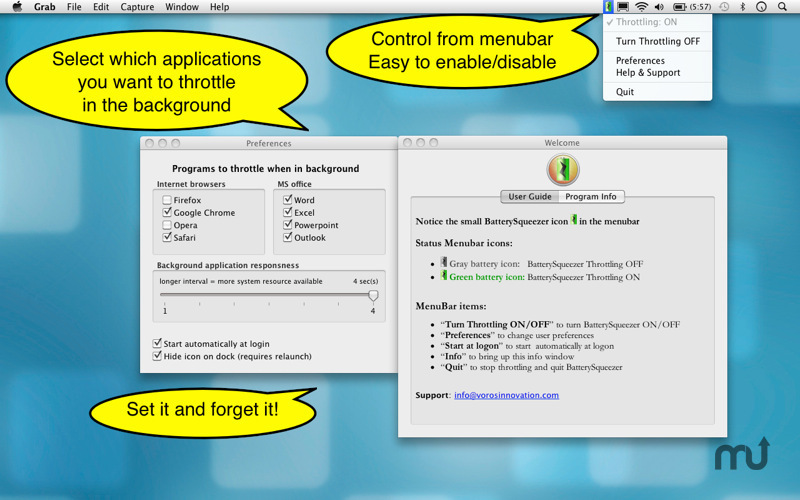 It runs discreetly on the menu bar and it's dock icon can be hidden.